Everyone needs to know how to tie knots, right? 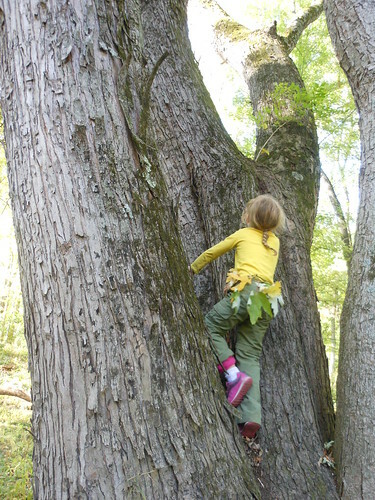 We tie our shoes, tie ribbons on gifts, tie saws on tethers to drag up in trees, tie pea plants to trellises… We even occasionally tie knots out in the woods. Boo has always been interested in tying. She quickly claimed my short length of extra (usually laundry) line for her backpack. We start with the half granny knot, also known as “cross, tuck under, and pull.” Then she worked on adding a second, just the same, to get a faincy-dancy granny knot. 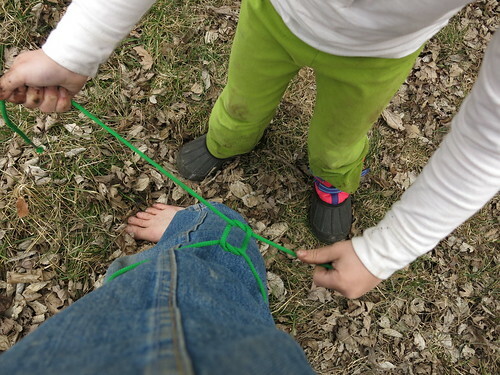 Granny knots are good for tying leaves into a belt. 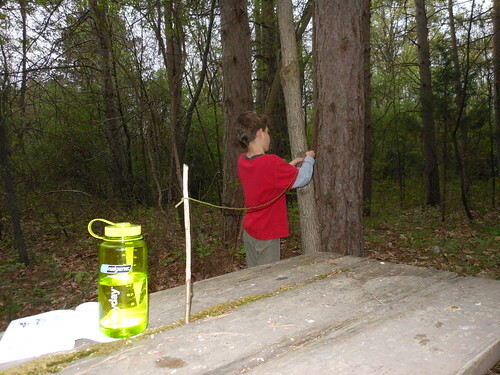 She and J will often take her string, or some found line, and tie laundry lines, fish lines, or monster traps around camp. 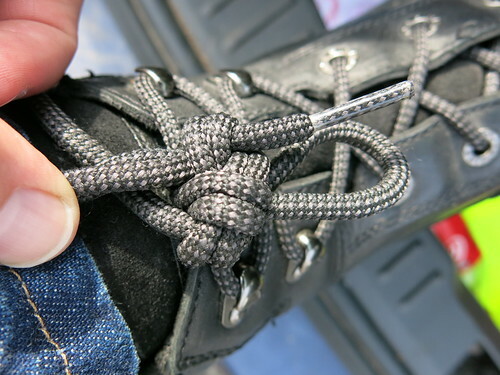 The first knot I remember after tying my shoes was a slip-knot, and I still use it fairly frequently. I do not have a large repertoire of knots, but I’m learning. 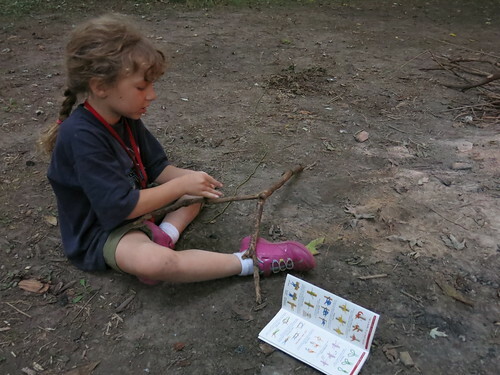 What knots did you learn as a kid? Which do you use the most now?